Tue 31/07/2007 18:41 31072007 Building a digital home theater. 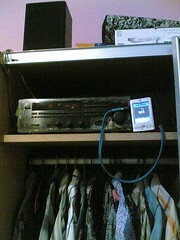 Starting with simple audio player running on old wifi pocketpc 2003. Eventually, it will stream multimedia from my home linux server wirelessly connected to asus wl500g wifi access point. So that i wont need big storage on the ppc coz my server can store thousands of audiophile hifi quality flac compressed audio plus some high quality movies and also another thousands of pictures from camera. why people blog more than wiki? maybe because blog is easy? blog is for everybody? wiki is for nerd? why people put howtos and other documentation in their blog? while documentations is much better put in wiki so we can easily edit and update. 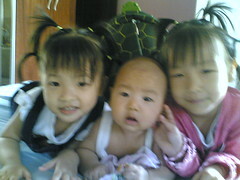 blog was started as diary, news update, something that change in time. now people use blog for everything. you get free publicity for blogging. wiki? you have to just wait for google to crawl your site. then someone lucky to google and found something they like on your wiki.